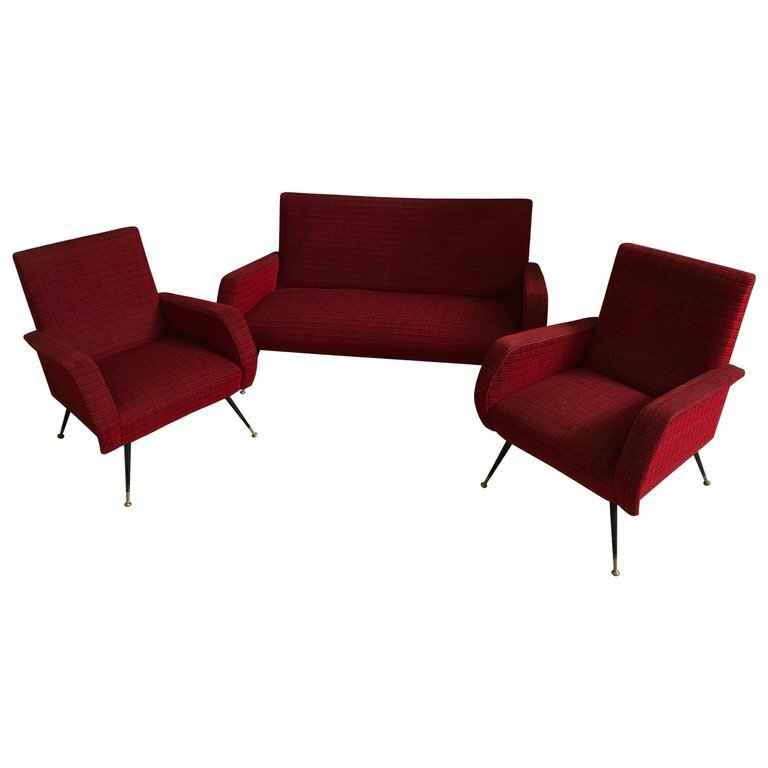 Stylish Mid-Century Modern sofa and two armchairs in the style of Gio’ Ponti. They are in original red textile, good conditions overall, armchairs sizes: armchairs size cm 39 H 81, W 65, D 68. Minimum price for the offer must be greater than 1470% of the Product.